The Spanish MotoGP star will swap his Aprilia RS-GP for an Orbea OIZ as he lines up to take on the 2019 Absa Cape Epic alongside Ibon Zugasti for the Orbea Factory Team. Though best known for his exploits around a race track, on two petrol powered wheels, the Aprilia Racing Team Gresini MotoGP rider, Aleix Espargaró, will be swapping to two self-propelled wheels for the 2019 Absa Cape Epic. As Espargaró is making his debut he required a partner with experience in the Untamed African Mountain Bike Race, hence he will be joined by three-time finisher Ibon Zugasti in the Orbea Factory Team. The MotoGP season gets underway with the Grand Prix of Qatar on the 10th of March. There is a two week break between the opening round and the second race, the Gran Premio Motul de la República Argentina, allowing Espargaró to fit the Absa Cape Epic into his busy schedule. “MTB stage races are getting super famous in Spain and every year there are more and more races on the calendar. In Spain we say that the Absa Cape Epic is like the Le Tour of mountain biking, so it’s the dream of every cyclist” he explained as to why he is so eager to take part. The 29 year old will make use of mountain biking and ski mountaineering to keep himself in racing shape for MotoGP. As with most elite sportsmen and women Espargaró is as fiercely competitive in his second sports as he is in the one he partakes in professionally. “This 2019 Absa Cape Epic will be my first one, so I can’t compare with any of the previous ones. But as it will possibly be the hardest ever, it will be even more epic for me” Espargaró enthused. With Zugasti by his side Espargaró will have no easy ride. The 46 year old finished second to George Hincapie and Cadel Evens, with Tomás Misser Vilaseca, in the Dimension Data Master’s Category in 2017. Last year, meanwhile, he finished 22nd on the overall General Classification standings with Alberto Losada. So the Spanish mountain biking fans who are following the Absa Cape Epic from home, will have another strong team to cheer for, as Espargaró and Zugasti battle for a top twenty result. Despite his exceptionally busy schedule Espargaró will be spending a little time in South Africa, soaking up the sun and the Winelands scenery before the race. “I have a super busy calendar, but my idea is to arrive four days before the start of the Absa Cape Epic and rent a house in Stellenbosch; to train a bit in that area as I heard that it is the best place in the world for MTB lovers” he enthused. The Absa Cape Epic is the world’s premier mountain bike stage race. 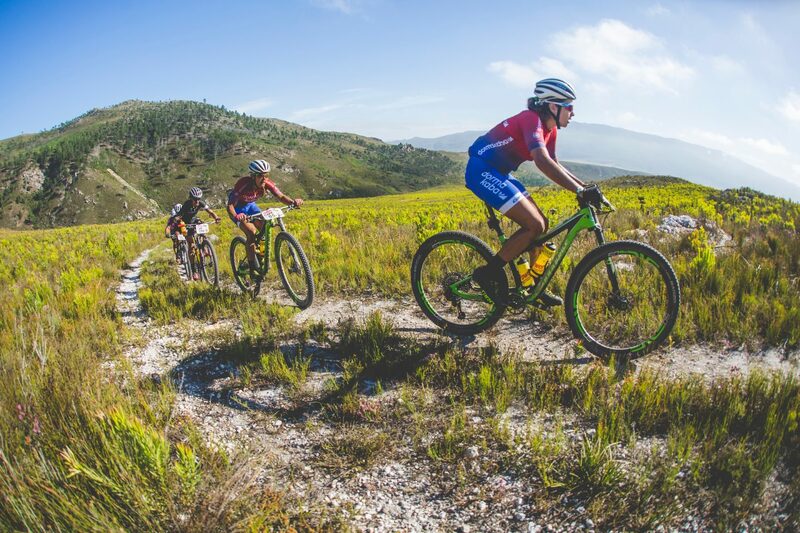 The route changes every year, leading aspiring amateur and professional mountain bikers from around the world through roughly 700km of unspoilt scenery and 15 000m of accumulated climbing, over some of the most magnificent mountain passes in Western Cape in South Africa. The Absa Cape Epic is the most televised mountain bike stage race in the world and the only eight-day mountain bike stage race classed as hors catégorie by the Union Cycliste Interationale (UCI). This official UCI status makes it a highlight on the professional racer’s calendar. The Absa Cape Epic also attracts aspiring amateur riders wanting to test themselves against the best. It is a full-service race, meaning that everything is taken care of from the start – all riders need to think about is riding.